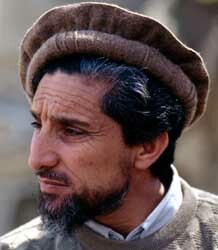 The CIA decides to increase its links with Ahmed Shah Massoud, an Afghan commander fighting the Taliban in northern Afghanistan. The decision is pushed through by Cofer Black, head of the CIA’s Counterterrorist Center, and Richard Blee, head of Alec Station, the CIA’s bin Laden unit. According to author Steve Coll, Black and Blee see Massoud “as his admirers in Europe [do], as an epochal figure, extraordinarily skillful and determined,” and believe that Massoud is the key to capturing bin Laden. However, the CIA’s Near East Division is skeptical of the potential for this liaison, partly because they remember problems they had with Massoud during the Soviet-Afghan War. Near East officers also think Massoud can only be of limited usefulness against bin Laden because of the geographical distance between Massoud’s forces in the north of Afghanistan and bin Laden’s base in the country’s south. [Coll, 2004, pp. 460-1] The CIA will soon send more personnel into Afghanistan to meet Massoud and discuss co-operation (see October 1999). However, a plan to make the increase substantial will be rejected in late 2000 and Massoud will still not be receiving much aid by 9/11 (see December 20, 2000). In the summer of 1999, the CIA asks border-control agencies in the Middle East to question anyone who may be returning from a training camp in Afghanistan, according to a 2004 Vanity Fair article. This is said to occur about six months before future 9/11 hijacker Ziad Jarrah is stopped and questioned at the airport in Dubai, United Arab Emirates, either because he is on a US watch list or because he shows signs of having come from Afghanistan, or both (see January 30, 2000 and December 14, 2001-September 28, 2005). [Vanity Fair, 11/2004] Also in 1999, the CIA specifically works out an arrangement with immigration officials at the Dubai airport to monitor or question suspected militants passing through (see 1999). 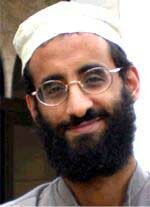 Anwar al-Awlaki. [Source: Public domain]The FBI conducts a counterterrorism inquiry into Anwar al-Awlaki, an imam who will later be suspected of involvement in the 9/11 plot. 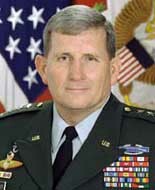 He serves as the “spiritual leader” to several of the hijackers (see March 2001 and After), and by 2008 US intelligence will determine he is linked to al-Qaeda (see February 27, 2008). The investigation is opened when it is learned he had probably been visited by a “procurement agent” for bin Laden, Ziyad Khaleel. Khaleel had helped buy a satellite phone for bin Laden; when he is arrested in December 1999 he reportedly tells the FBI crucial details about al-Qaeda operations in the US (see December 29, 1999). The FBI learns that al-Awlaki knows individuals from the suspect Holy Land Foundation and others involved in raising money for Hamas. Sources allege that al-Awlaki has even more extremist connections. But none of these links are considered strong enough for criminal charges, and the investigation is closed. [9/11 Commission, 7/24/2004, pp. 517] Al-Awlaki is beginning to associate with hijackers Nawaf Alhazmi and Khalid Almihdhar shortly before the investigation ends. For instance, on February 4, one month before the FBI investigation is closed, al-Awlaki talks on the telephone four times with hijacker associate Omar al-Bayoumi. The 9/11 Commission will later speculate that these calls are related to Alhazmi and Almihdhar, since al-Bayoumi is helping them that day, and that Alhazmi or Almihdhar may even have been using al-Bayoumi’s phone at the time (see February 4, 2000). 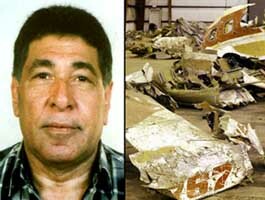 Al-Bayoumi had also been the subject of an FBI counterterrorism investigation in 1999 (see September 1998-July 1999). Valerie James. 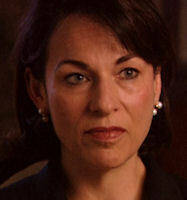 [Source: PBS]John O’Neill, special agent in charge of the FBI’s national security division in New York, violates security protocols when he takes Valerie James, his longtime girlfriend, to a secret FBI garage and lets her use the bathroom there—an incident that will subsequently cause him to be placed under investigation. One weekend, O’Neill and James head out on a trip to Atlantic City, New Jersey, intending to visit an old friend of O’Neill’s. The couple travel in O’Neill’s personal vehicle, a 1991 Buick. However, about 10 miles outside Manhattan, the aging car breaks down. O’Neill contacts the AAA and when someone arrives to tow it away, he instructs them to take it to an industrial park a couple of miles away, where the FBI garage at which he keeps his bureau car is located. Girlfriend Uses the Bathroom at the Secret Garage - The location of the garage is a closely guarded secret since, in addition to agents’ cars, the FBI keeps a fleet of undercover vehicles that it uses in investigations, such as fake ambulances and telephone trucks, there. Taking James to the garage is therefore a violation of FBI security protocols. The infringement of protocols is worsened when O’Neill allows his girlfriend to use the bathroom there to freshen up. Furthermore, he then drives her away from the garage in his FBI car, even though agents are strictly prohibited from using their bureau vehicles for nongovernment business and having civilians in them. 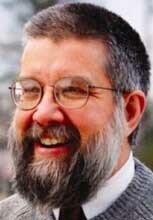 “O’Neill was breaking the rules and he knew it,” journalist and author Murray Weiss will later comment. Incident Will Subsequently Be Investigated by the FBI - The incident will only have consequences, though, four month later when the mechanic at the garage comes under investigation for allegedly repairing and servicing the personal vehicles of agents at the FBI facility, and he mentions what happened during his questioning. O’Neill’s apparent security breach will then trigger an in-depth internal investigation of the incident, and O’Neill and James will both be formally questioned about it. O’Neill will be found guilty and be suspended for a month without pay, although upon appeal the suspension will be reduced to 15 days. The Justice Department’s Office of Inspector General issues a report into the FBI’s use of intelligence information in an investigation into campaign finance, and this report is critical of the “wall”. The “wall” regulates the passage of some information from FBI intelligence investigations to criminal FBI agents and prosecutors, to ensure such information can legitimately be used in court (see Early 1980s). After the procedures were formalized (see July 19, 1995), the FBI drastically reduced its consultations with Justice Department attorneys about intelligence investigations, because any consultation with such attorneys could result in an intelligence warrant not being granted, as it may lead authorities reviewing a warrant application to conclude that the warrant was really being sought for a criminal investigation, not an intelligence investigation. The result is that the FBI does not ask for input from prosecutors until it is ready to close an intelligence investigation and “go criminal.” The campaign finance report finds that FBI failed to disclose some information from intelligence investigations not only to Congress and the Attorney General, but also to its own Director, Louis Freeh. The “wall” procedures are found to be vague and ineffective, as well as misunderstood and often misapplied. [US Department of Justice, 11/2004, pp. 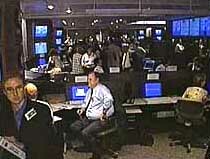 32-33 ] The “wall” procedures are also criticized by other reports (see May 2000). In 2008, the website Intelwire.com will obtain a declassified FBI document from this date. The content is heavily redacted, including the title, but the full title appears to be, “Summary of information obtained from the United Arab Emirates with regard to Manila Air fugitive Khalid Shaikh Mohammed.” The document appears to detail a briefing by United Arab Emirates (UAE) officials from the General Department of State Security to FBI officials visiting the UAE. 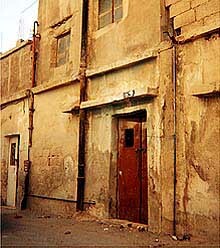 It mentions that Khalid Shaikh Mohammed (KSM) “who was reported to be in _____ during mid-1998, is still currently living in Sharjah, UAE, with his family.” The report also mentions that “in July 1998, authorities from ______ based on information probably obtained from Qatar, located KSM living and working in ____. 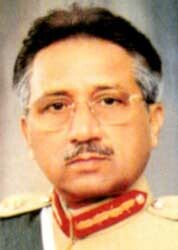 After questioning him about his activities with the [Muslim Brotherhood], he was deported to Bahrain.” [Federal Bureau of Investigation, 7/8/1999 ] The 9/11 Commission will later mention this document a single time, and reveal that one of the redacted sections discusses KSM’s links to the Abu Sayyaf militant group in the Philippines. [9/11 Commission, 7/24/2004, pp. 488] Sharjah is a major hub of al-Qaeda activity at this time (see Mid-1996-October 2001), and one of the 9/11 hijackers, Fayez Ahmed Banihammad, is from the emirate of Sharjah (see 1980s and 1990s). 9/11 plot facilitator Mustafa Ahmed al-Hawsawi will be based in Sharjah in the months before the 9/11 attacks, and some of the 9/11 hijackers will pass through there and visit him (see Early-Late June, 2001). It is not known what action US intelligence takes in response to this briefing. Agents from Oklahoma City FBI office visit the Airman Flight School in Norman, Oklahoma to investigate Ihab Ali Nawawi, who has been identified as bin Laden’s former personal pilot in a recent trial. The agents learned that Nawawi received his commercial pilot’s license at the school 1993, then traveled to another school in Oklahoma City to qualify for a rating to fly small business aircraft. 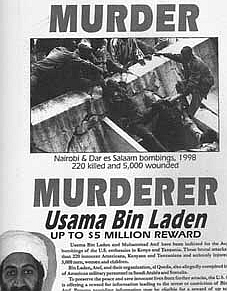 He is later named as an unindicted coconspirator in the 1998 US Embassy bombing in Kenya. The trial witness who gave this information, Essam al Ridi, also attended flight school in the US, then bought a plane and flew it to Afghanistan for bin Laden to use (see Early 1993). [Boston Globe, 9/18/2001; CNN, 10/16/2001; Washington Post, 5/19/2002; US Congress, 10/17/2002] When Nawawi was arrested in May 1999, he was working as a taxi driver in Orlando, Florida (see May 18, 1999). Investigators discover recent ties between him and high-ranking al-Qaeda leaders, and suspect he was a “sleeper” agent. 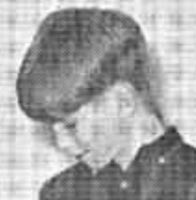 [St. Petersburg Times, 10/28/2001] However, the FBI agent visiting the school is not given most background details about him. 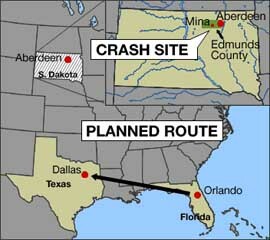 [US Congress, 7/24/2003] It is not known if these investigators are aware of a terrorist flight school warning given by the Oklahoma City FBI office in 1998. Hijackers Mohamed Atta and Marwan Alshehhi later visit the Airman school in July 2000 but ultimately will decide to train in Florida instead. [Boston Globe, 9/18/2001] Al-Qaeda agent Zacarias Moussaoui will take flight lessons at Airman in February 2001 (see February 23-June 2001). 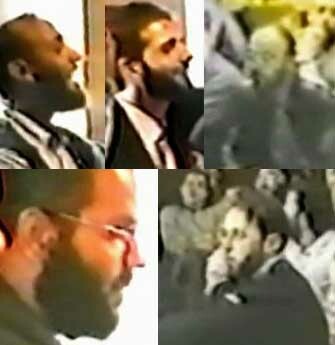 One of the FBI agents sent to visit the school at this time visits it again in August 2001 asking about Moussaoui, but he will fail to make a connection between the two visits (see August 23, 2001). The Guryanov Street bombing. [Source: NTV/Terror.ru]A powerful explosion levels the central portion of a block-long Moscow apartment building shortly after midnight, killing 94 people. The building is located on Guryanov Street in a working-class suburb, far from the heart of Moscow. Yuri Luzhkov, the mayor of Moscow, who has a degree in chemistry, identifies the probable explosive as hexagen, also called RDX. He says the attack was probably carried out by Chechen terrorists: “Visual signs suggest that it was a terrorist act similar to the one carried out in Buinaksk” (see September 4, 1999). 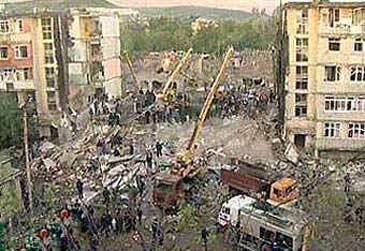 Interfax reports that an anonymous caller declared that the explosion is “our response to air strikes against peaceful villages in Chechnya and Dagestan.” [New York Times, 9/10/1999; Moscow Times, 9/10/1999; BBC, 8/10/2000] Another Moscow apartment building is bombed on September 13, killing over 100 (see September 13, 1999). 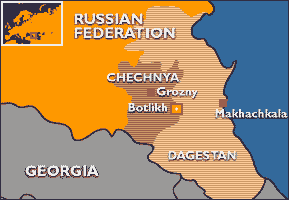 Later in the month, explosives will be found in an apartment building in the nearby city of Ryazan. The Russian government will initially declare it a foiled bombing until the suspects arrested turn out to be FSB agents. 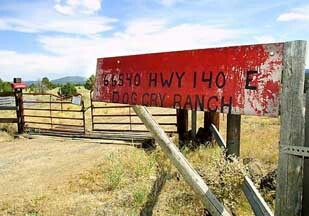 The government will then claim it was merely a training exercise (see September 22-24, 1999). This will lead some to suspect that all three apartment bomb incidents this month were false flag attacks by the FSB (see March 6, 2002, December 30, 2003 and January 2004). 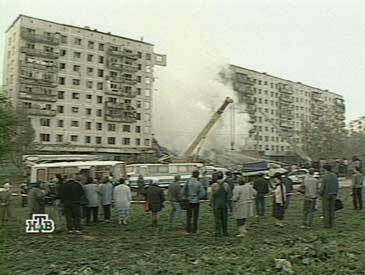 The Kashirskoye Street bombing. [Source: AP/Terror99.ru]A powerful early-morning blast levels an apartment building on Kashirskoye Street, Moscow, killing 118 people. 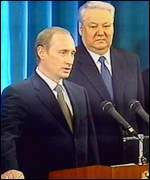 Russian Prime Minister Vladimir Putin and Moscow’s mayor Yuri M. Luzhkov blame Chechen terrorists. 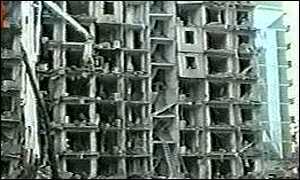 [New York Times, 9/13/1999; BBC, 9/13/1999] Another Moscow apartment building was bombed on September 9, killing nearly 100 (see September 9, 1999). Later in the month, explosives will be found in an apartment building in the nearby city of Ryazan. The Russian government will initially declare it a foiled bombing until the suspects arrested turn out to be FSB agents. 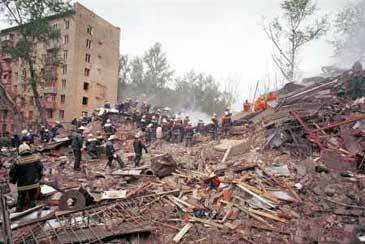 The government will then claim it was merely a training exercise (see September 22-24, 1999). This will lead some to suspect that all three apartment bomb incidents this month were false flag attacks by the FSB (see March 6, 2002, December 30, 2003 and January 2004). 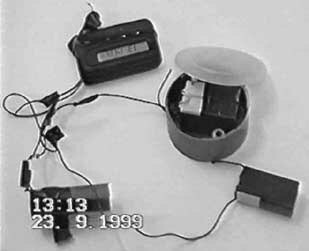 September 22-24, 1999: FSB Agents Plant Large Bomb in Ryazan: ‘Security Exercise’ or Terror Plot? A CIA officer whose first name is “Albert” drafts a series of incorrect cables about a plan by Islamist militants to carry out attacks in Jordan around the millennium (see December 15-31, 1999). One cable alleges that the group of terrorists, some of whom are al-Qaeda operatives, is backed by Iran. Ali Soufan, an FBI agent working against the plotters in Jordan, sends a series of parallel cables back to Washington, and his and Albert’s superiors notice the discrepancies. An investigation into who is correct ensues, and Soufan is proved right. In all, 12 cables drafted by Albert have to be withdrawn. Soufan will say that Albert’s problem was that he had a “tendency to jump to conclusions without facts.” The link to Iran was because some of the plotters had trained in the Bekaa Valley in Lebanon, an area controlled by Hezbollah, which is backed by Iran. [New Yorker, 7/10/2006 ; Soufan, 2011, pp. 138-139] After 9/11, Albert will be involved in the rendition of Ibn al-Shaykh al-Libi to Egypt, where he falsely confesses to a link between al-Qaeda and Iraq (see January 2002 and After). Ayman al-Zawahiri. He is the top leader of Islamic Jihad and al-Qaeda’s number two leader. He was sentenced to death in absentia in Egypt, and the US has a $5 million bounty on him by this time. Thirwat Salah Shehata. He is another high-ranking Islamic Jihad leader. He was sentenced to death twice in Egypt. Adel Abdel Bary. He was granted asylum in Britain despite being sentenced to death in Egypt, and ran the Islamic Jihad office in London. But he was arrested there in 1998 and is fighting deportation to the US on charges of involvement in the al-Qaeda African embassy bombings. 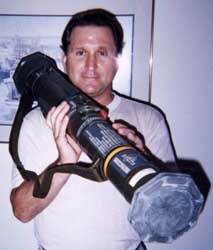 Adel Abdel-Quddus, an Islamic Jihad leader. He received a death sentence in connection with an assassination attempt in 1993. He was granted asylum in Austria. 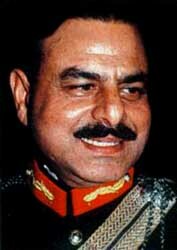 Ayub Usama Saddiq Ali, another Islamic Jihad leader. He was sentenced to death on murder charges in Egypt. He moved to Germany and is granted asylum there in October 1999. 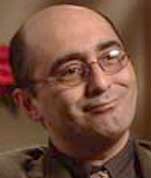 9/11 hijacker Ziad Jarrah will call him twice, once in November 1999 and once in August 2001 (see November 7, 1999 and August 4, 2001). Ahmed Refai Taha, head of the Al-Gama’a al-Islamiyya, the Egyptian militant group formerly led by the “Blind Sheikh,” Sheikh Omar Abdul-Rahman. In September 2000, al-Qaeda will publish a video of Osama bin Laden, al-Zawahiri, and Taha threatening revenge if the Blind Sheikh is not released (see September 21, 2000). Taha was sentenced to death in Egypt. Mustafa Hamza, leader of Al-Gama’a al-Islamiyya, and an al-Qaeda leader as well. He was sentenced to death three times in Egypt. 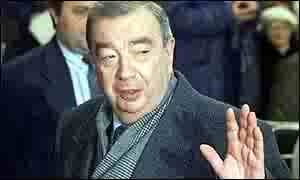 He is believed to have led an assassination attempt of Egyptian President Hosni Mubarak in 1995 (see June 26, 1995). Mohammed Shawqui Islambouli, brother of the assassin of Egyptian President Anwar Sadat and an Al-Gama’a al-Islamiyya leader. He also was sentenced to death in Egypt, and is believed to be hiding in Afghanistan with bin Laden. Ahmed Hussein Ugayzah, sentenced to life imprisonment in Egypt. He was an aide to al-Zawahiri in Afghanistan, but he had a falling out with him and joined the Vanguards of Conquest, an Islamic Jihad splinter group. Yassir al-Sirri. He was sentenced to death in Egypt in 1994 for a role in an attempted assassination attempt in 1993. But he moved to Britain and was granted asylum. [Al-Sharq al-Awsat, 10/2/1999; Al-Ahram Weekly, 10/18/2001] Shortly after 9/11, the Guardian will report that seven of the men on the list live in London, but it is not mentioned which of the seven live there. [Guardian, 9/28/2001] There appear to have been no arrests of any of the above figures in Britain after the publication of the list. 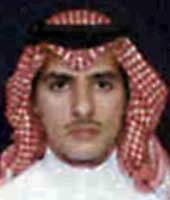 The Washington Post refers to hijackers Nawaf Alhazmi and Khalid Almihdhar when it later reports, “In November 1999, two Saudi Arabian men moved into a ground-floor apartment at the Parkwood Apartments, a town house complex near a busy commercial strip in San Diego.” [Washington Post, 9/30/2001] Alhazmi’s name is on the apartment lease beginning in November 1999. [Washington Post, 10/2001] The Los Angeles Times similarly notes, “A man by [the name Alhazmi] moved to the Parkwood Apartments in San Diego in 1999, according to manager Holly Ratchford.” [Los Angeles Times, 9/15/2001] Some reports even have them visiting the US as early as 1996. [Wall Street Journal, 9/17/2001; Las Vegas Review-Journal, 10/26/2001] However, FBI Director Mueller has stated the two hijackers did not arrive in the US until the middle of January 2000, after attending an important al-Qaeda summit in Malaysia (see January 5-8, 2000). While some news reports mention that the hijackers first arrive in late 1999 [Los Angeles Times, 9/1/2002; Los Angeles Times, 11/24/2002] , over time, mentions of the lease beginning in 1999 will slowly fade from media accounts. Reda Hassaine. [Source: CBC]Reda Hassaine, an informer for the British intelligence service MI5, learns that a group of Arab men who fought in the anti-Soviet jihad in the 1980s have arrived in Britain from Yemen. He obtains their names and passport numbers, and also finds they have settled in the Birmingham area. Recognizing the importance of the men, he asks to be allowed to get close to them, but MI5 tells him to stay in London. Thinking that MI5 will pay no attention, Hassaine becomes angry and shouts, “Are any of you interested in catching these terrorists?” He goes to Birmingham on his own initiative and obtains information on the group, which is passed to the Sunday Times [O'Neill and McGrory, 2006, pp. 147] It is unclear why the jihadis move to Birmingham and who, if anybody, they meet there. 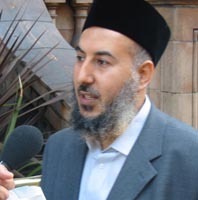 A senior radical named Anas al-Liby, who is connected to the embassy bombing plot (see Shortly After August 12, 1998), lives in Manchester, about two hours’ drive from Birmingham, around this time (see May 2000). Omar al-Bayoumi, an associate of 9/11 hijackers Khalid Almihdhar and Nawaf Alhazmi, will move to Birmingham in the summer of 2001 (see June 23-July 2001 and September 21-28, 2001). In a court case in Canada, Arafat El-Asahi, the Canadian director of both the International Islamic Relief Organization (IIRO) and the Muslim World League, says in sworn testimony: “The Muslim World League, which is the mother of IIRO, is a fully government funded organization. In other words, I work for the Government of Saudi Arabia. I am an employee of that government. Second, the IIRO is the relief branch of that organization which means that we are controlled in all our activities and plans by the Government of Saudi Arabia. Keep that in mind, please… I am paid by my organization which is funded by the [Saudi] government.… The [IIRO] office, like any other office in the world, here or in the Muslim World League, has to abide by the policy of the Government of Saudi Arabia. If anybody deviates from that, he would be fired.” [US Congress, Senate, Committee on Governmental Affairs, 7/31/2003; US News and World Report, 12/15/2003] There is considerable evidence that both the IIRO and the Muslim World League have repeatedly helped fund al-Qaeda. 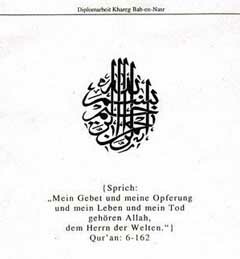 For instance, in 1993 Osama bin Laden told an associate that the Muslim World League was one of his three most important charity fronts (see 1993), and it will later be reported that just after 9/11 the US decides not to list both the Muslim World League as terrorist charity fronts in order not to embarrass the Saudi government (see October 12, 2001). 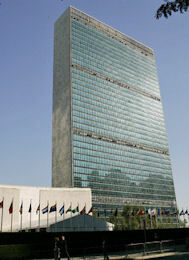 United Nations sanctions against Afghanistan take effect. The sanctions freeze Taliban assets and impose an air embargo on Ariana Airlines in an effort to force the Taliban to hand over bin Laden. [BBC, 2/6/2000] It had been widely reported that Ariana had become a transportation arm for al-Qaeda (see Mid-1996-October 2001). However, Ariana will keep its illegal trade network flying, until stricter sanctions will ground it in 2001 (see January 19, 2001). Abu Bara al-Taizi. [Source: Defense Department]A group of al-Qaeda operatives receives advanced training at the Mes Aynak camp in Afghanistan. The large group includes 9/11 hijackers Nawaf Alhazmi and Khalid Almihdhar (see November/December 1999), al-Qaeda commander Khallad bin Attash, would-be 9/11 hijacker Abu Bara al-Taizi (a.k.a. Zohair Mohammed Said), USS Cole bomber Ibrahim al-Thawar (a.k.a. 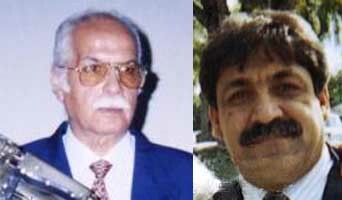 Nibras), an operative who leads a series of suicide bombings in Riyadh in 2003, and another who is involved against the 2002 attack against a ship called the Limburg (see October 6, 2002). According to statements by detainees, the course focuses on physical fitness, firearms, close quarters combat, shooting from a motorcycle, and night operations. Osama bin Laden and Khalid Shaikh Mohammed (KSM) apparently visit the camp during the course. [9/11 Commission, 7/24/2004, pp. 157; Office of the Director of National Intelligence, 9/6/2006, pp. 12 ] Candidate hijacker Abderraouf Jdey, a Canadian passport holder, may also be present at this training course. [9/11 Commission, 7/24/2004, pp. 527] Also, in early December, KSM gives special hijacking training to Alhazmi, bin Attash, and al-Taizi (see Early December 1999). Khalid Deek, who is also a US citizen and part of an Anaheim, California al-Qaeda cell. 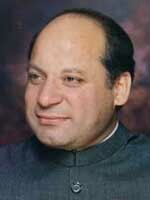 He will be arrested in Pakistan and deported to Jordan, but strangely he will released without going to trial.